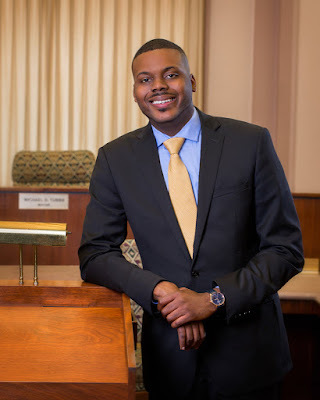 JT IRREGULARS: "This California city's 27-year-old mayor will give residents $500 free cash per month"
"This California city's 27-year-old mayor will give residents $500 free cash per month"
"A two-hour drive from the tech-fueled riches of San Francisco, Stockton, Calif., is a completely different world from its Silicon Valley neighbor. But the small city is taking a big bet to try to fix its lagging economy with a strategy that many of the tech elite have been largely only pontificating about: universal basic income, or cash handouts. "In 2013, Stockton became the most populous city in the United States to enter bankruptcy. The city of 300,000 was toppled when the housing bubble burst, its basic operating expenses dependent on developer fees and increasing property tax revenue that never came to bear. "Four years later, Stockton is still very much struggling. The median household income there is $44,797, well below California's median household income of $61,818, according to a statement from the city's 27-year-old mayor, Michael Tubbs. Stockton's unemployment rate is 7.3 percent, close to double the 4.3 percent national average. One in four residents live below the poverty line and 18 percent of Stocktonian residents experience food insecurity. "Mayor Tubbs sees universal basic income as a possible way to alleviate some of the pains of poverty the city is experiencing. "Called the Stockton Economic Empowerment Demonstration (SEED), Tubbs and the city of Stockton announced their initiative Wednesday. In the coming six to nine months, SEED will go through a design period where the city will work with social scientists and community leaders to determine, among other things, the number of residents who will be part of the initial test phase of the program and how to select participants. "Checks of $500 per month are expected to start being distributed to Stocktonians in the second half of 2018. The goal is to grow the program as the city can afford to do so. "Stockton's SEED program is being funded initially with a $1 million grant from the Economic Security Project. It's also accepting crowdfunded donations to the project with a Crowdrise campaign. The Economic Security Project is an organization aiming to raising awareness of universal basic income in the United States and is co-chaired by future of work expert Natalie Foster, Facebook co-founder Chris Hughes and scholar and leader Dorian T. Warren." Hell, I'm throwing my clothes and tools in the truck and heading west.